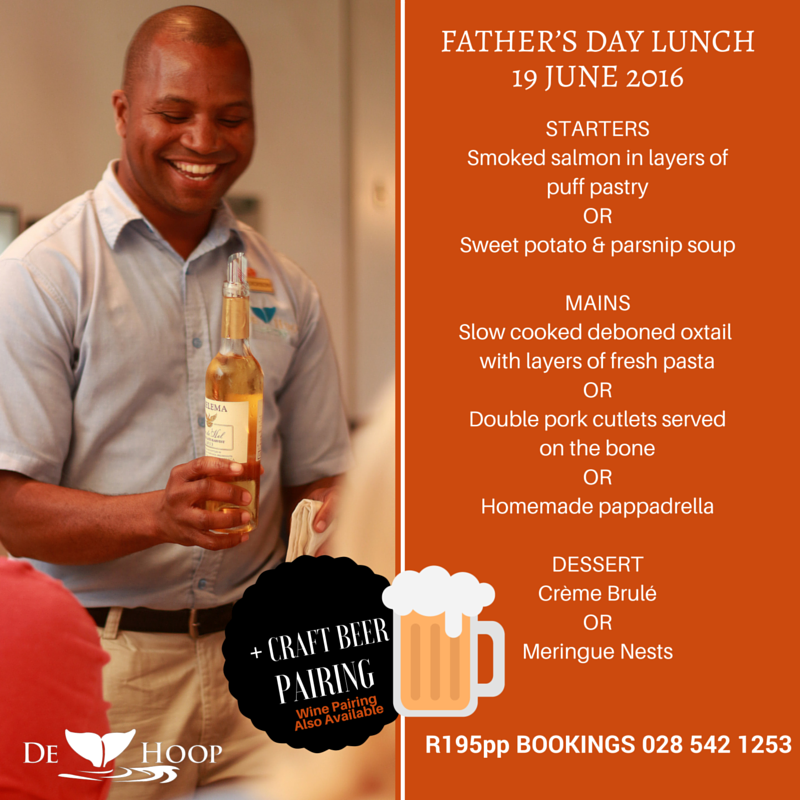 The team at De Hoop Collection have put together a gorgeous 3-course meal along with a Craft Beer Pairing (or a wine option if beer isn't really your thing) to help you spoil the Dad in your life. Say thanks for all he does with family time together out at the reserve and take in the natural surrounds of De Hoop this June. Craft Beers: Birkenhead - Pilsner, Pride Dark Ale, Honey Blonde Pale Ale, and Premium Lager, as well as Hermanus Brewery’s Old Harbour Lager. BOOKINGS: 028 542 1253. Cost R195pp.